As technology races ever faster onwards, and each new generation becomes computer literate at a younger age, you could be forgiven for thinking that we are now a truly digital nation. At a time when the government has just announced plans to put £17 million into research into Artificial Intelligence –­­­ paving the way for innovations like driverless cars and workplace robots – there are still more than 10% of UK adults (5.3 million people) who have never used the internet. For those of us who go online for everything, from checking the weather to streaming music, taxing the car to booking a holiday, it’s impossible to imagine being disconnected in this way. We live in a world made up of digital “haves” and “have-nots”. The Assisted Digital Overview by GOV.UK in 2015 revealed that 21% of the population lack basic online skills. The impact of digital exclusion is life-limiting. It affects job prospects, access to healthcare and educational attainment. There are significant numbers without internet access in the following groups: over 65s, those with a disability, those on low income or those with no qualifications. We’ve got a long way to go before we can say that in the UK, everyone who wants to use the web can do so. If we want a society that offers equal opportunity for all, it’s vital that online services should be available for everyone, with help available for those who can’t use them on their own. This is why we’re testing an assisted digital service as part of the 2017 Census Test. We’re inviting 8,000 households on the Isle of Wight to take part in this test. For those who need help, we’re supplying it – at libraries at Newport, Sandown, Cowes and Ryde. 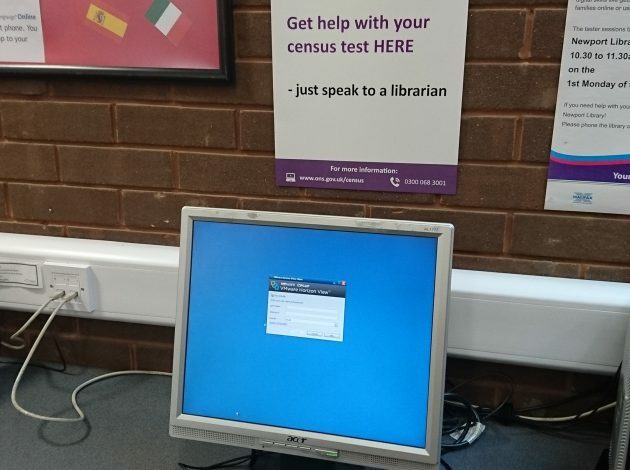 There, librarians who have been trained to complete the online test questionnaire will be happy to help members of the public go through the process. Assisted digital isn’t about teaching online skills – it’s about support. It’s when someone guides a user to complete an online service themselves, or enters details on the user’s behalf. It could be help with anything from retrieving a lost password, paying council tax, setting up a Facebook profile or researching using Google. Head of Isle of Wight libraries, Rob Jones says: “We are really excited to be involved in this national pilot test and our library staff are fully trained to assist residents online. The 2017 Census Test is now underway and between now and 19 May, we’ll be collecting as much information as we can about how many people want to use assisted digital support, what they need help with and their feedback on their experiences. This will help us assess the range and scope of the assisted digital service we offer for the 2021 Census. We want to make sure no-one who wants to get online gets left behind.